Our South Dakota auto shipping rates calculator favors those areas along the major interstates. South Dakota is so large yet so sparse in population. As of 2014, the South Dakota population was estimated at 844,877. That makes South Dakota the 5th least populated and 5th least dense state in the union. Really if you think about, North Dakota and South Dakota should really be one state. And they once were. At one time it was called the Dakota territory. There were two Indian tribes that dominated the region, the Lakota and the Dakota. For some reason the United States thought the population was getting too large and decided to split the Dakota region into two states. Not only was it not large then, it’s not large now in terms of population. In the 18th century most of the Dakotas were inhabited by Indians. There were several tribes including the Sioux Lakota and Dakota. There was some European exploration in the area, especially the French, but really not that much. The Dakota territory was part of the Louisiana territory, which was ostensibly owned by France. Napoleon Bonaparte had bigger fish to fry in Europe and needed money quick. Our third president Thomas Jefferson realized an opportunity to nearly double the geographic size of the United States and seized it. Jefferson cut a deal with Napoleon, paying France nearly $3 million for the Louisiana Territory. Along with that purchase came much of South Dakota. Jefferson dispensed Lewis and Clark to discover just what they had bought. Nearly 60 years later the United States government ceded much of Western South Dakota to the Sioux Indian tribe. The United States took the eastern half of South Dakota. By the way, South Dakota is split right down the middle by the Missouri River. The state is distinctly different east to west of the Missouri. That deal didn’t last long because shortly after gold was discovered in the Black Hills of the Western region. So the white man came to mine that area, which absolutely, positively, and legally did not belong to him. The Sioux Indians were rightly upset about it. Gold and money and getting rich didn’t mean a lot to the Sioux Indian. They valued the land and nature. A deal is a deal right? Wrong. The United States government would not and did not stop white miners from intruding on Indian land. It all came to a head on December 29, 1890 when the Wounded Knee Massacre occurred on Indian land. The Sioux Indians lost 146 people, most of them women and children. The United States Calvary lost 31 soldiers. That was the last battle between the white man and Native American Indians. 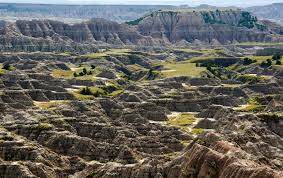 It took nearly 90 years for the United States government to fess up, as the Supreme Court ordered restitution in the form of payment to the Sioux Lakota tribe for the illegal seizure of the Black Hills. 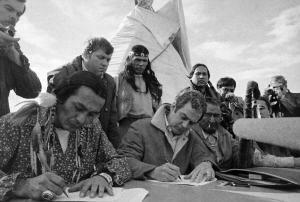 The Lakota responded by saying they didn’t want the money, they want their land back. The US has basically taken the position that they stole it fair and square. So the case remains unresolved. What does this have to do with South Dakota auto shipping? Nothing. We just had to get it off our chest. South Dakota’s economy is heavily into agriculture, especially corn, soybeans, wheat and pig farming, and also finance because of easy banking regulations. 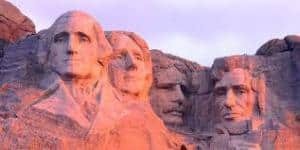 South Dakota has a significant stake in tourism, as it is home to Mount Rushmore. And of course who can forget the Sturgis Motorcycle Rally, which draws every year nearly 500,000 motorcycle riders. That one week event swells the South Dakota population by nearly 50%. The Sioux Indians must be thrilled. There are two main interstate freeways that cut through South Dakota. I 90 runs in a East-West direction through the state. I 29 runs north-south near the eastern border with Minnesota and Iowa. North Dakota of course runs along the northern border, Montana and Wyoming border the West, and Nebraska is to the south. Our South Dakota auto shipping rates calculator dices and slices South Dakota, trying to ship your vehicle as quickly as possible to a state that is so sparsely populated and somewhat remote. No matter where you’re trying to car ship in South Dakota we advise patience. You have to amalgamate 8 to 10 cars shipping from one region to South Dakota. It doesn’t happen every day. It sometimes doesn’t happen every week. But it does happen.